We don’t normally show self-builds or houses that aren’t be well known architects on e-architect, however something about this home piqued our interest. 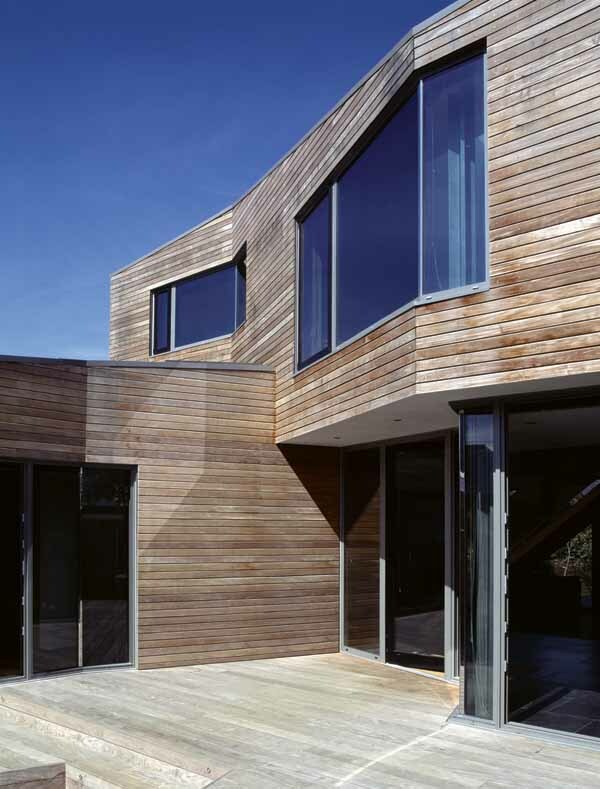 The first time I heard about a so-called Straw Bale house was at a lecture in The Bartlett (1995) by Jeremy Till + Sarah Wigglesworth Architects. They had designed a house in north London that was only partially built using straw, but protected behind polycarbonate as it faced a major railway line. I felt uneasy with the usage and didn’t think much more about this until recent years when passivhaus discussions become more prevalent and sustainable architecture gained strength (as it should). Anyway, here is a new straw bale house. After 18 months of successful monitoring of the prototype, my strawbalehouse is going into production. Starting at £30K for 11M x 7.2M building. My approach to affordable housing has been to keep the house structure as simple as possible whilst providing a free and flexible vaulted interior that gives the purchaser unhindered options. I.e. a bespoke home at a mass produced price. Further massive cost savings can be achieved by self-building either as an individual or collectively – indeed using self-build to self-build a community. The interior floor width is 6M on both levels but the length, height and layout is entirely the choice of the owner who is free to respond to their needs, budget, site orientation, local materials etc. Careful specification, together with the carbon bank in the straw, passive house performance is easily achievable. Also ideal for small art galleries, village halls etc.